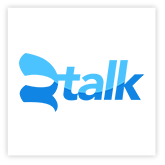 2talk, a subsidiary of Vocus Group, is a provider of Cloud PBX, SIP Trunking, White Label Telco, Broadband and Cloud WAN services to NZ and Australian service providers and end users. Our partners have options to resell 2talks product suite or to become their own telco using our White label Paas My Cloud Telco. Connect with us to power your business into the future. Unicom New Zealand is a 100% kiwi owned Telecommunication and Technology Company. We have been setting a very high standard in the service we offer. Unicom New Zealand offers a range of products and services from retail to organizational needs. We emphasize on individual customer needs and carry out the best approach from them. Unicom New Zealand is the most powerful and influential Internet Service Provider serving the Chinese community, we provide exceptional broadband and voice service to commercial & residential customers. Our service and products also covers PABX system for corporate client, IT support and solution, Smart building infrastructure development.